Pregnancy nausea can begin as early as four weeks into your pregnancy and last through your 24th week of pregnancy or longer. This nausea may make it hard for you to hold down food and go about your daily activities. Two natural remedies may help reduce some of your pregnancy nausea symptoms -- vitamin B-6 and ginger. Women who experience nausea during pregnancy tend to have low blood levels of vitamin B-6, according to a study published in the "International Journal of Gynecology & Obstetrics" in March 2012. Pregnant women who took a higher dose of 30 milligrams per day of vitamin B-6 for two weeks experienced slightly reduced symptoms of nausea during pregnancy than women who took the recommended dietary allowance of 1.3 milligrams. The American Pregnancy Association recommends a dose of 50 milligrams per day to reduce nausea symptoms. A study published in the "Journal of Alternative and Complementary Medicine" in March 2009 found that taking 1,000 milligrams of ginger capsules per day caused an improvement in nausea symptoms, with a potential decrease in vomiting. This amount is sometimes divided into four 250-milligram doses spread throughout the day. Evidence is conflicting on whether one of these treatments works better than the other. A study published in "Midwifery" in December 2009 found that vitamin B-6 and ginger were equally beneficial for reducing the number of vomiting episodes, but that ginger was more effective for relieving nausea. Another study, published in "Obstetrics and Gynecology International" in 2013, found that there wasn't a significant difference between the beneficial effects of ginger and vitamin B-6 for relieving nausea and vomiting. The second study used double the dose of vitamin B-6 as the first study, however, and this might explain the difference in results. Speak with your doctor before using either ginger or vitamin B-6 for treating your pregnancy nausea. These substances can interfere with certain medications and high doses can cause adverse reactions. Pregnant women shouldn't take more than 1 gram of ginger per day, notes the University of Maryland Medical Center. High doses can cause diarrhea, heartburn and upset stomach. 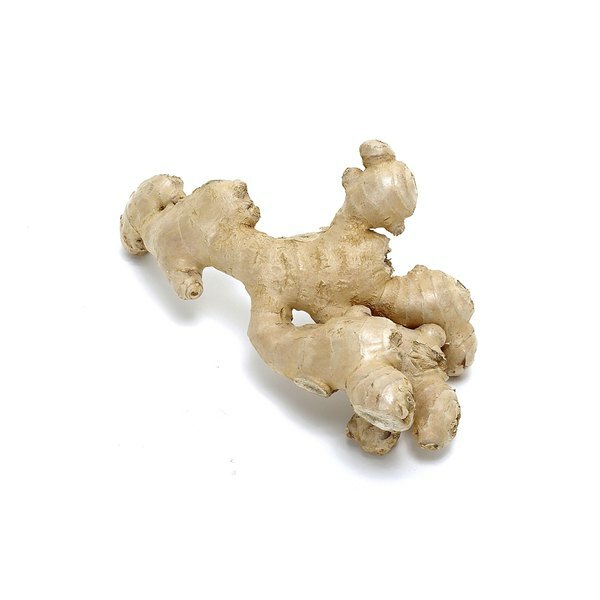 Ginger can interact with medications including those for treating diabetes and high blood pressure and blood thinners. The tolerable upper intake level for vitamin B-6 is 100 milligrams per day. High doses can cause loss of control over your movements, skin lesions, heartburn and light sensitivity.